TC’s System 6000 MKII is now shipping. 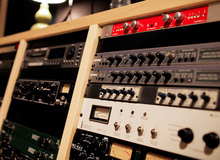 Reverb 6000 and Mastering 6000 offer the same core structure, features and hardware configurations, and therefore the following is valid for both products. Lexicon introduced its PCM96 Surround Reverb/Effects Processor. Lexicon has announced that the PCM96 and PCM96 Surround software for Mac OS X has been updated to v3.0.1.4. A new version of the PCM96 software v3.0.0.7 (Macintosh Only) is now released and available for download. Lexicon started shipping their new PCM96 Stereo Reverb/Effects Processor which delivers 28 new Lexicon reverbs, delays and modulation effects straight into your DAW.